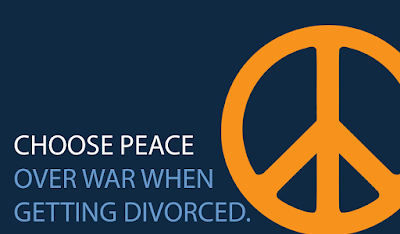 Very few divorce cases actually go to trial. Even cases that start out with both parties intending to litigate, or "have their day in court", usually settle. I've heard many litigators argue that since most of their cases settle anyway, the court process is better than mediation because it offers more protection to the participants. However, there is a serious problem with settlements that happen during the litigation process: they are rushed and people often feel pressured into signing at the last minute. Despite the fact that the court process of a divorce typically takes longer than a mediation, the court process has a lot of what I call "hurry up and wait." The litigation process typically involves long periods of waiting for deadlines to pass and for the next court hearing and then a flurry of activity right before the court hearing is scheduled. Then, if that flurry of activity doesn't result in a settlement you're back to waiting. For example in Massachusetts, approximately six to eight months after the filing of a Complaint for Divorce, the court will hold a pre-trial conference. Before the pre-trial conference, the parties are supposed to complete discovery and meet at least once to try and settle the case. For most people they didn't need 6-8 months to completely exchange the relevant information, and meeting much earlier would help them move closer to settlement. Instead, many litigators wait until two weeks prior to the pre-trial conference to have their first face-to-face meeting with the other side. Then, in that two week period they try to settle everything. From a litigator's perspective, when that two week period arrives you should have all the information you need to settle (completed discovery), and after you meet then you know whether you agree or disagree on how the judge will apply the law to the facts of this case. If you disagree, then you go to the pre-trial and ask the judge for guidance on the law, and with that guidance you settle the case that day. From a divorcing couple's perspective, they have been waiting for 6-8 months for something to happen in their case. They feel anxious and afraid of what's going to happen, and many don't understand how a pre-trial is supposed to work. Now all of the important financial and family decisions they need to make have to be made in a short period of time, or they are threatened with the possibility of a much bigger bill and a trial. The pressure is ratcheted up with little time to understand the consequences of the options put in front of them. Yet, this is how many cases settle in the litigation process. It's no wonder that many spouses leave this process feeling resentful and second-guessing their deal. Like any trial by combat, where the event takes far less time than the preparation, they will always be left wondering what if. What if I had more information before I settled? What if I had the opportunity to explore more options? What if I had more time? This procedure for divorce cases is copied from other civil disputes, without any recognition of the additional emotional, financial and family pressure that divorcing couples feel. Mediation, Collaborative Law and other out-of-court negotiation processes offer a way of avoiding this serious problem. By allowing the couple to set the timeline they can have multiple meetings scheduled at their convenience (not the court's timeline). The individuals may still feel pressure to settle to reduce costs or to get the divorce over with, but that pressure isn't exacerbated by the process. Rather than forcing the parties into an adversarial last-minute negotiation, mediation and collaborative law give them space and time to explore options fully and make informed and rational decisions. How do you avoid a last-minute rushed settlement? If you aren't in court yet and neither person has filed a Complaint against the other, then explore all of your options before making a decision. Interview a mediator, and a collaboratively-trained attorney, and a litigator. In some cases you may be able to find people who have experience in all three, like the attorney/mediators at Skylark Law & Mediation. There are also some professionals who offer assessment consultations where the professional can meet with one or both spouses for the sole purpose of helping them decide which process is best for them. For this type of assessment meeting the professional would disqualify themselves from being the attorney or mediator in the process, so there is no conflict of interest in the assessment. Justin Kelsey offers assessment consultations as a service, as does Heidi Webb of Consilium Divorce. 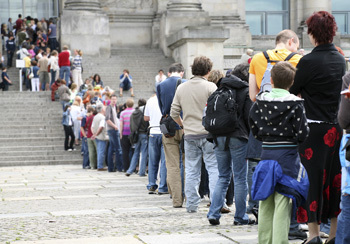 If you are already in court there are still things you can do to avoid a last-minute rushed settlement. Unless there is domestic violence, there is no reason why you shouldn't meet more than once before a pre-trial conference. There is no need to wait until all discovery is complete or a deadline is looming to have a settlement conference. Request that you have your first settlement conference as soon as possible and always keep the next one scheduled. If you think you need neutral assistance to settle (e.g. if communication is particularly difficult) then hire a mediator to work with you. Just because the court process has started doesn't mean you can't work with a mediator, and most mediators are fine meeting with both lawyers and clients together. In short, if you want to have control over how your settlement is reached, not just when, then take control and choose a process that offers the appropriate space and time to reach fair and thoughtful solutions. Thanks for writing. Your blog is very helpful and informative unlike most others about family law. I'm considering mediation, but I don't even know if that is necessary. My husband and I have been married only 6 six years and have very few assets, no kids. We're not on good terms, but we can speak and I think we've decided we just want the divorce done with. Some websites like www.completecase.com and www.thistoo.co make me think I don't need any professional help - what do you think? I'm in Canada btw. Thanks in advance! The disclaimer at the bottom of those sites says it all: "CompleteCase.com does not provide legal advice and using this site is not intended to be a substitute for hiring a licensed family law attorney in your state." If you work with a document preparation site, you are your own attorney. If you are confident that you can navigate your jurisdiction's laws on your own, then you probably don't even need a document software to provide you with documents that are often available at the courthouse for free. Hiring a lawyer or mediator is about the service they provide and the knowledge they have of what can go wrong, not about the forms they have access to. Thanks for your response! And even though that article talks about the American legal system, I think we have some similar issues in Canada. Should Mediators be Held to a Higher Standard?